South bound Interstate 5 - Take exit # 125 (toward Lakewood/McChord AFB exit). Turn right onto Bridgeport Way SW - follow for 1.7 miles. Turn left onto Mt Tacoma Dr SW - follow for .2 miles. Lakewood Chamber office will be on the left next to America's Credit Union. North bound Interstate 5 - Take exit # 125. Turn left onto Bridgeport Way SW - follow for 1.7 miles. Turn left onto Mt Tacoma Dr SW - follow for .2 miles. 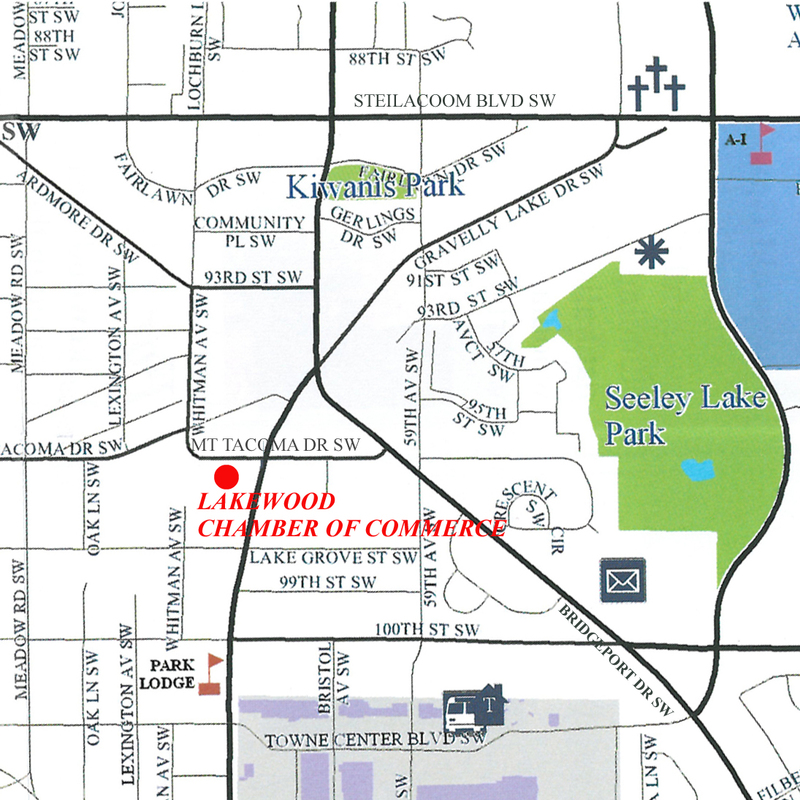 Lakewood Chamber office will be on the left next to America's Credit Union.